last summer we went blueberry picking with my parents and we had such a great time. 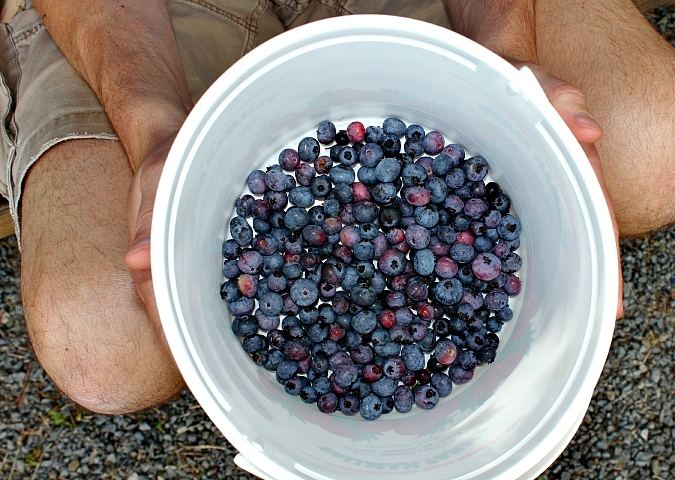 we had fun walking through the endless fields of blueberry bushes, and we came home with a ton of berries. so, we were really looking forward to going again this year. 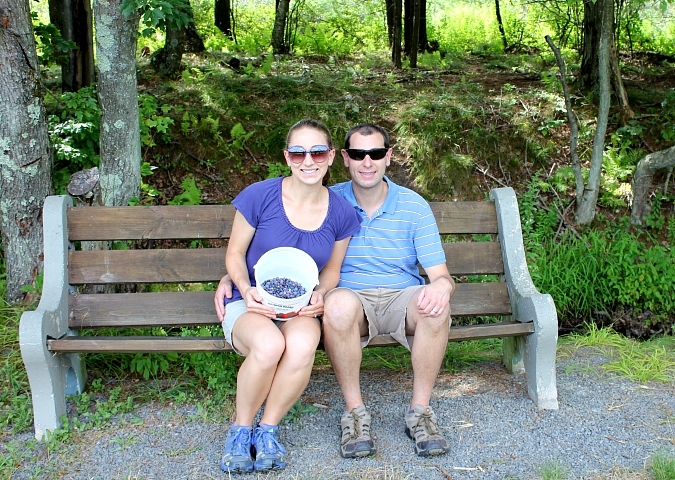 on saturday, we took a drive back to paupack blueberry farm with my mom and dad. when we got there, we were disappointed to learn that the crop was pretty pathetic and that there were hardly any blueberries to be picked. we gave it a go anyway, and ventured out into the fields to see what we could find. between the four of us we just barely found enough blueberries to cover the bottom of our bucket. despite our unsuccessful attempt to pick a bunch of blueberries, we still had a good time walking around the fields together. it was kind of like a scavenger hunt to locate those few berries that were hiding out there! we used our little bit of blueberries to make blueberry pancakes and blueberry muffins. they sure were good! hopefully there will be a better crop next year! At least we got good exercise walking around the fields and attacked by Gnats.